Terahertz radiation represents a range of the electromagnetic spectrum extending from the highest frequency radio waves to the lowest frequency infrared light. While many attempts have been made to create compact, solid-state devices that can harness it, terahertz radiation has proven difficult to exploit. However, if such devices can be developed that can tap into the terahertz spectrum, we could see it make a big impact in non-invasive imaging in industry, medicine and security where they are less harmful than X-rays and because of the shorter wavelength and provide sharper images than those produced by microwaves. Graphene has begun to show some real promise in terahertz devices for everything from wireless communications to improved quantum cascade lasers that can reverse their emission, offering a complete change to fiber optic telecommunications. Now researchers at the University of Geneva (UNIGE), working with the Federal Polytechnic School in Zurich (ETHZ) and two Spanish research teams, have developed a technique, based on the use of graphene, that can potentially control both the intensity and the polarization of terahertz light very quickly. The researchers believe that their research, which is described in the journal Nature Communications, could lead to the development of practical uses of terahertz waves to imaging and telecommunications. They key to their development was the fabrication of a graphene-based transistor adapted to terahertz waves. Because the interaction between terahertz radiation and the electrons in graphene is very strong, the researchers believed that it should be possible to use graphene to manage terahertz waves. With this graphene-based transistor, the researchers believe this kind of control over a complete range of terahertz frequencies is now possible. "By combining the electrical field, which enables us to control the number of electrons in graphene and thus allows more or less light to pass through, with the magnetic field, which bends the electronic orbits, we have been able to control not just the intensity of the terahertz waves, but also their polarization," said Jean-Marie Poumirol, a member of the UNIGE research team and the first author of the study, in a press release. "It is rare that purely electrical effects are used to control magnetic phenomena." The researchers envision the graphene-based devices being used in communications and imaging. "Using a film of graphene associated with terahertz waves, we should be potentially able to send fully-secured information at speeds of about 10 to 100 times faster than with Wi-Fi or radio waves, and do it securely over short distances," explained Poumirol. The initial imaging applications are thought to be in security. 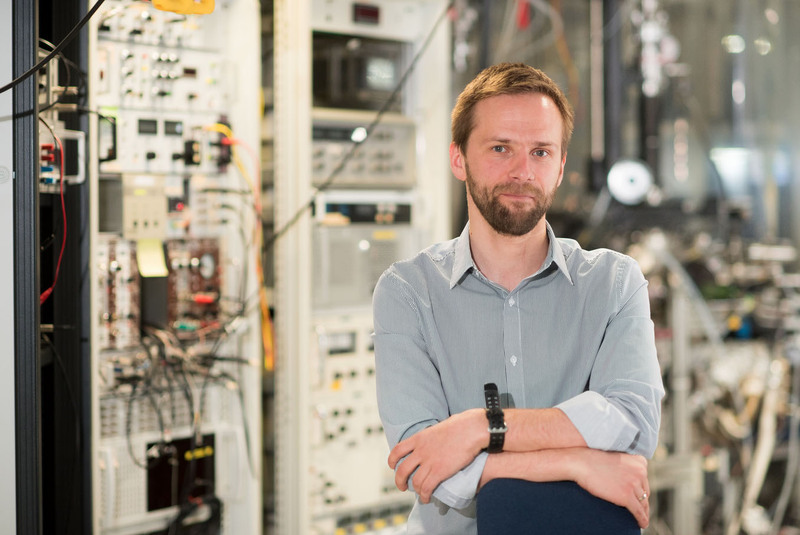 Alexey Kuzmenko, team leader of the research at UNIGE added: “Terahertz waves are stopped by metals and are sensitive to plastics and organic matter. This could lead to more effective means of detecting firearms, drugs and explosives carried by individuals, and could perhaps serve as a tool to strengthen airport safety."